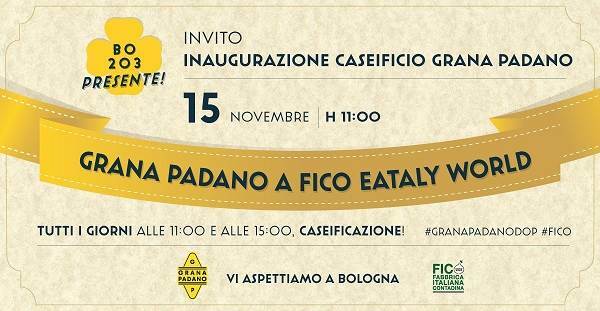 GRANA PADANO PDO AT ‘FICO EATALY WORLD’ WITH A REAL CHEESE FACTORY. A cheese factory that from Saturday to Monday produces a total of 12 wheels of Grana Padano PDO (4 wheels a day) in front of thousands of visitors. 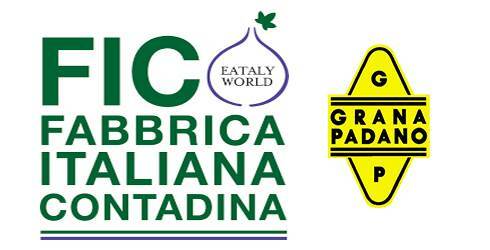 The factory has been set up by the Grana Padano Protection Consortium at FICO Eataly World. It is a project designed specifically to enhance and promote the world’s best-selling PDO cheese, using a method which brings the public into direct contact with the product and its production. Thanks to the project, the province of Bologna, has become once again productive with the Cheese Factory number BO203. This area is on the right of the river Reno, one of the Grana Padano production areas which had stopped producing Grana Padano in 1983, when the Emiliano Romagnolo Consortium stopped its production that had number BO202. The cheese factory produces four wheels of cheese every Saturday, Sunday and Monday using approximately 500 litres of milk for each one, sourced from one of the farms registered with the Grana Padano Protection Consortium in Piacenza, in the region of Emilia. Once produced, the wheels rest on shelves in the warehouse, created inside the factory, for at least 9 months. Only then will they have to pass strict quality checks so as to qualify them to be fire-branded and identified as Grana Padano PDO. During FICO Eataly World, the Grana Padano Protection Consortium will be available to receive schools and other visitors, organising meetings designed to tell the story and explain the qualities of this flagship Made in Italy product. Indeed, the hospitality area has been devised to include a series of interactive images which complement the presentation of Grana Padano designed to engage the public visiting FICO. GRANA PADANO DOP AT ‘FICO EATALY WORLD’ WITH A REAL CHEESE FACTORY.